This inspiring event offers guests a rare opportunity to see and hear from a group of the most notable Apollo astronauts. The evening’s gala will be emceed by CNN’s former lead space correspondent, John Zarrella, and the on-stage panel conversations will be moderated by the UK’s rock-star of physics, Professor Brian Cox (OBE). 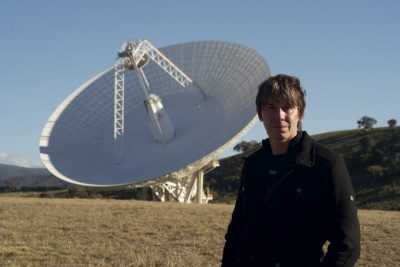 In addition to his Guinness World record for the largest science show ever performed, Cox is regularly seen hosting highly acclaimed science programs for the BBC. The collaboration of Brian Cox and John Zarrella will ensure engaging conversation with astronauts from the Apollo era to modern day space programs and guarantee to inspire a global audience. Guests attending the 2018 event, will be given exclusive access to purchase tickets to the 2019, 50th Anniversary of the Apollo 11 Moon Landing events! With demand already exceptionally high for 2019, this is the only way to guarantee your attendance for this historical event. Tickets for the 2018 Apollo Celebration Gala are selling fast. VIP level tickets are almost sold out. The Apollo Celebration Gala is sure to be a night of surprises! Check the website (http://apollocelebrationgala.com/news) for a series of future announcements.